NEET PG Case: Case not taken for discussion, postponed to 3/4/13 - AcrossPG Exams! 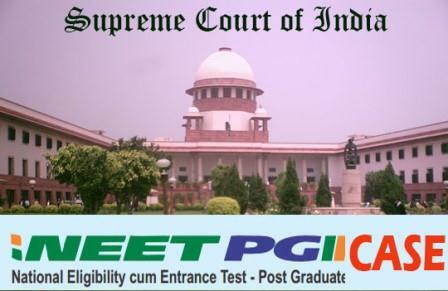 NEET PG case (T.C. (C)No.98/2012) was listed as item no. 10 in the final cause list for Court no. 1 (Chief Justice’s court). The case was not taken for discussion today. The case is postponed to 3/4/2013. NEET PG case (T.C. (C)No.98/2012) is listed as item no. 9 in the final cause list for Court no. 1 (Chief Justice’s court) on 3/4/2013.